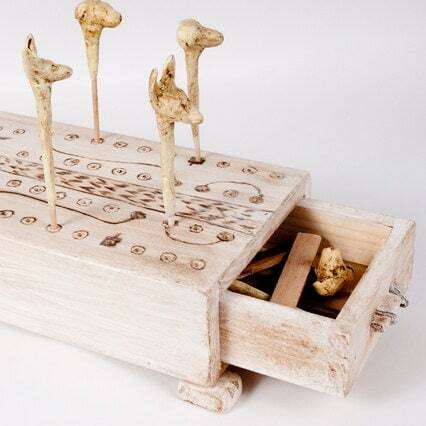 Board game from the Ancient Egypt made in wood. 30 x 13 x 7 cm. 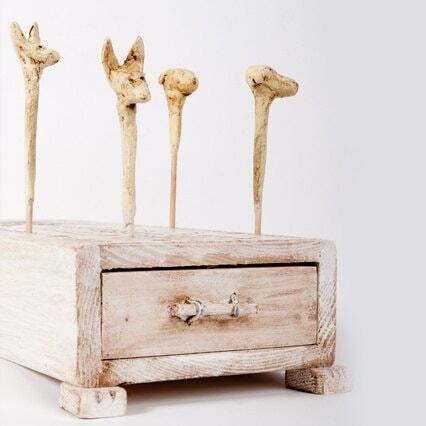 Ten carved ivory pegs, with heads resembling five hounds and five jackals, were excavated from a tomb at Thebes by Howard Carter in the 1900’s. The original ivory board with its game pieces was discovered as a complete set. The rectangular playing surface, with rounded top, measured six inches long and three inches wide. 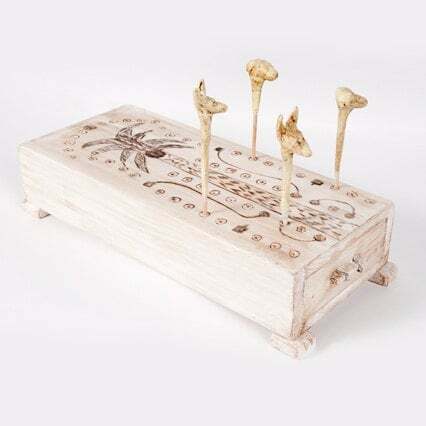 The animal headed pegs were contained in a drawer underneath; locked by an ivory bolt. Dating back to around 2000BC, the game was a splendid find, and now rests in the Metropolitan Museum of New York. The tracks contains a few spaces which are specially marked. Lines are drawn, connecting two holes, which seem to enable players to move several spaces forward if landed upon. Perhaps backwards even. No one knows for sure how the game was exactly played. However, ways for the game to be played today have been constructed based from experimentation and study. Even though Hounds and Jackals is an ancient game, playing and exploring the game is still enjoyable today.